You probably spend more time in the kitchen over Christmas than any other time of year, preparing those yummy treats… and clearing up afterwards. Your guests are drawn there too, making it the social hub of the house this season. So why not spruce it up in the same way you do the rest of your home with these simple ideas for making the perfect Christmas kitchen? Christmas decorations don’t have to stop at the tree and one of the easiest ways to add festive cheer to your kitchen is with textiles. New tea towels or oven gloves won’t cost the earth and will add a splash of colour to your cooker handle or towel rail. By investing in a seasonal apron you can even become a walking Christmas adornment. If traditional designs aren’t for you, what about this sprout slogan tea towel? You may not want to clutter your surfaces with plastic singing reindeer but there are loads of places you can hang tasteful decorations and lights in a kitchen. Try running fairly lights around your window or putting a garland along the top of your cupboards (giving you an excuse to clean up there too). If you run LED light strips around your base plinths, you might not want to pack them away after Christmas. Go red or green with them for a purely festive touch. Impress your guests with a stylish coffee machine on your worktop. After all, a hit of caffeine is an ideal cure for the afternoon post-turkey lull or a pick-me-up following that obligatory sofa snooze. The pacific blue colourway of this Tassimo machine fits in perfectly with the blue and white snow scene theme. Think of all those recipes you could make with fresh coffee at the press of a button - tiramisu, affogato or this delicious sounding chocoholic’s Christmas pudding. 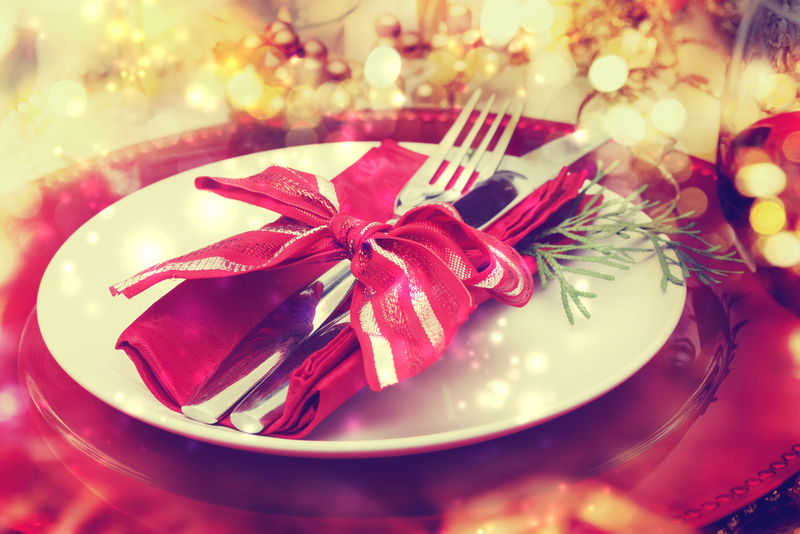 If your table is in the kitchen then make the most of it as you can really go big on decorations. Candles - of course. Sprigs of holly – yes. That red tablecloth, some gold napkin rings and you’re all set to shout “dinner’s ready”. Just don’t forget the crackers! There are some great options out there for crackers containing gifts your guests will actually want to keep, such as beauty products, and some with fun games to play like wind-up reindeer races. Or what about these? Each one contains a different hand bell and the conductor leads the family orchestra to play Christmas-classic songs. 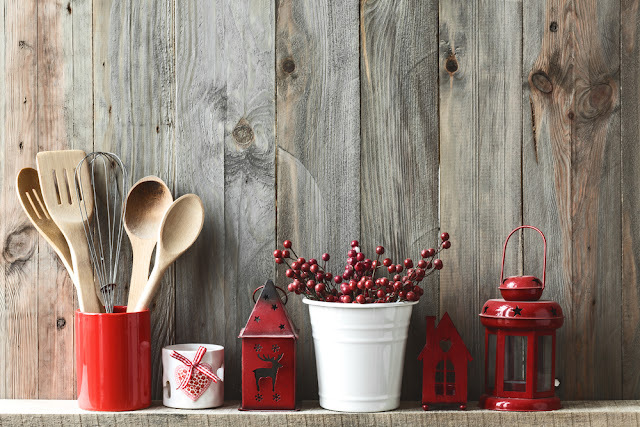 Little touches can really make a difference at Christmas, so spruce up your kitchen and make your home feel all the more festive.